WRITING WORKSHOP DIRECTOR. ONE-TO-ONE TUTOR. RESOURCE SPECIALIST. DIGITAL & PRINT MEDIA EXPERT. 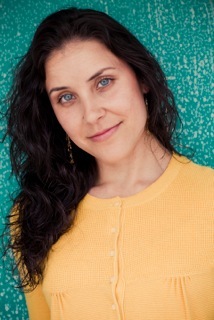 Vanessa Ziff Lasdon is the founder and executive director of W.O.R.D. Ink., an education, youth advocacy, and media service enterprise. For nearly 20 years, she’s been an LA-based teacher, tutor, writer, editor, and middle grade/young adult novelist. A UT Austin Longhorn, Vanessa majored in Corporate Communications, double minoring in Advertising and Spanish before going on to earn a degree in Digital Journalism and an MFA in Writing for Children and Young Adults from Vermont College of Fine Arts. Her graduate thesis, “Please Sweat the Small Stuff: Shaping Tone with Sound and Syntax,” was awarded high honors. Vanessa feels fortunate to be represented by the fabulous Sara Crowe. In her first novel, Vanessa’s junior-high protagonist discovers that life’s biggest battles aren’t against bullies; they’re in owning up to one’s self. Vanessa’s second novel, a YA slipstream fantasy, explores the twisted dualities within all things and one girl’s destiny to weave Light out of Dark. Vanessa began her teaching career as a 4th grade Teach For America corps member, earning her teaching credential from CSULA where she also developed professional writing courses for educators as a teaching fellow with the L.A. Writing Project before joining Curtis School’s 5th-grade teaching team for several years. Each spring and summer, Vanessa develops and directs a host of innovative writing workshops for kids and teens. As a freelance writer and curriculum developer for Newsela.com and Shmoop.com, Vanessa “levels” news articles for grades 2-12 and designs teaching guides that target critical reading and writing skills. When she’s not reading, writing, teaching, or managing W.O.R.D. Ink, Vanessa volunteers as an in-school writing coach with 826LA.org. She also loves to cook, garden, travel, swim, snowboard, wander, get crafty, play games, listen to podcasts, shop for unique stuff, and snuggle with her hubby, three pups, and two kittens.